In addition to offering top-notch specialized academic instruction by a highly trained team, a variety of specialized therapies and a strong sense of community, Port View Preparatory® also offers vocational education and career development for our students. At Port View Preparatory®, the sky’s the limit and we help instill the sense of possibilities in our students with varying degrees of complex challenges. Our school has established partnerships with various community organizations that provide career development and job experience for ready students who are eager and willing to explore their fullest potential. Because vocational education and career development is a life-long process, instructional activities begin at the primary level and evolve as students progress in age and maturity. Primary activities focus on promoting self-awareness while older students can begin to explore career interests and options, learn about personal characteristics and gradually prepare to enter the world of work. We strongly believe that our role extends beyond our school boundaries and our team does its best daily to help ensure that our students are not afraid or intimated by the outside world where we all must coexist – not only to survive, but to thrive. Helping students reach their full potential is weaved into our daily instruction, therapies, training and activities. Our team is committed to providing the necessary steps and support for transitioning able students into paying jobs and careers upon graduation. With our career exploration, planning support and community liaisons, students can align interests and skills with outside opportunities. Our support team also functions as career counselors and is trained to note general and specific interests, talents and abilities in order to help guide and direct students into appropriate vocations. Based on each student’s individual job or career interests, abilities and family backing, placements can be made. Port View Preparatory® has an enduring partnership with Elwyn, one of the nation’s oldest private non-profit organizations serving people with intellectual, developmental and behavioral challenges. 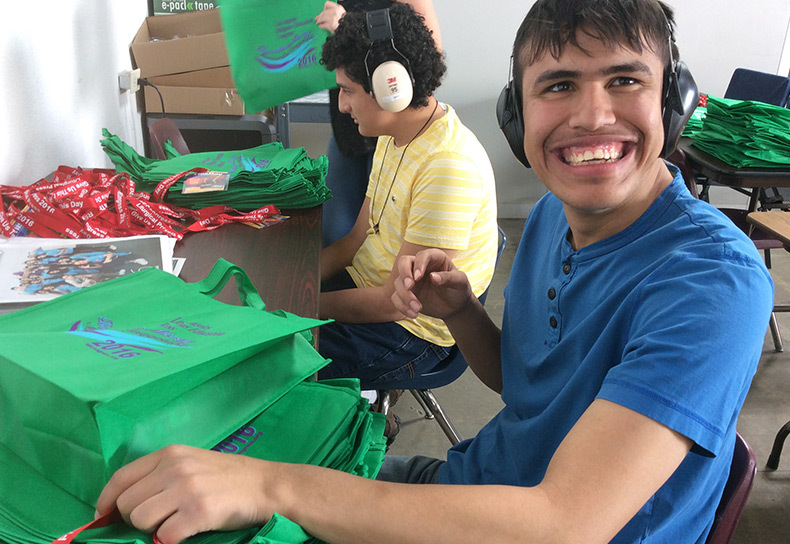 * Through this partnership, Port View Preparatory® hopes to place graduating students in retail stores, grocery stores and numerous other businesses that welcome and employ individuals with special needs. For more information about Port View Preparatory®’s Vocational Education and Career Development program, please contact Principals Edward Miguel at 714-463-6391 or Melaura Erickson-Tomaino at 714-463-6392.